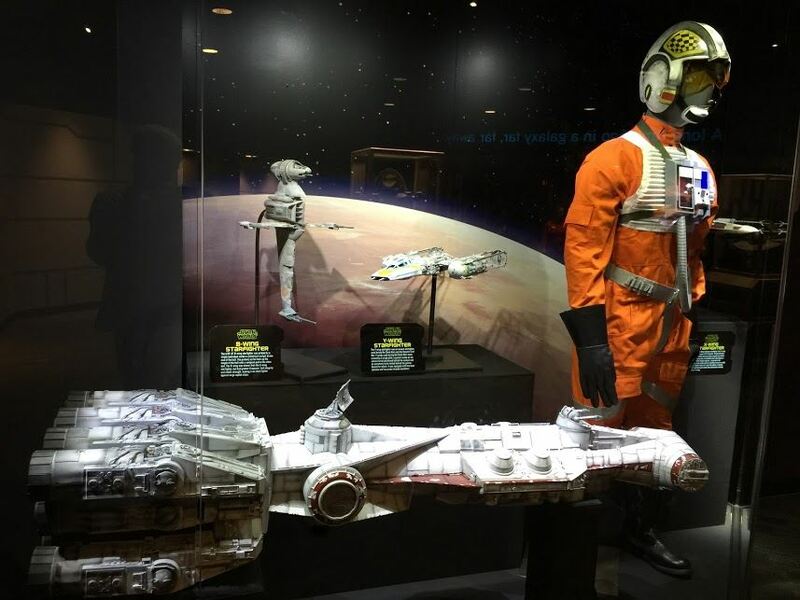 Star Wars Launch Bay is walk-through exhibit housed at the back of Animation Courtyard that celebrates the space saga through museum-style displays and interactive meet and greets. The façade of the building (which formerly housed the The Magic of Disney Animation attraction) has been redressed as a First Order military base from Star Wars: The Force Awakens; watch for new-model Stormtroopers patrolling the plaza outside. 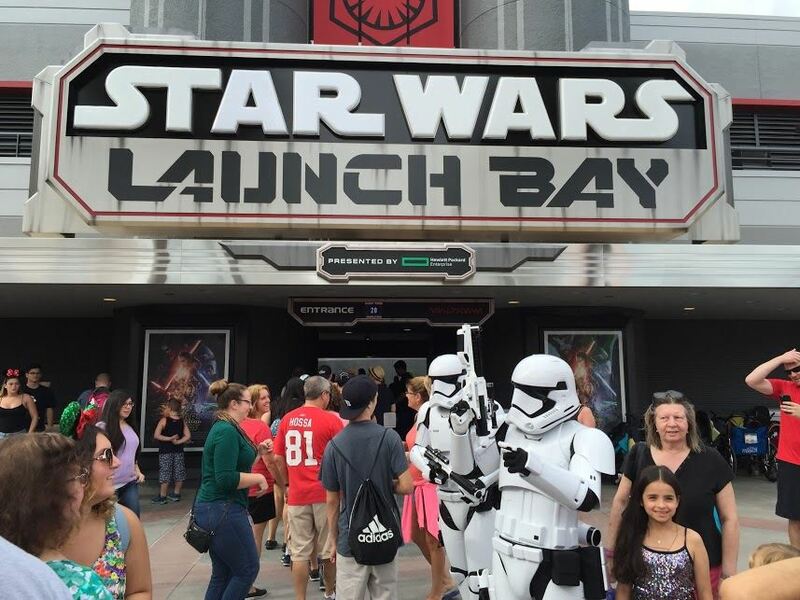 Upon approaching the Launch Bay, guests can bear left to wait for the introductory film, or take the righthand queue to enter the exhibit itself more quickly. If you chose to watch the movie, there are enlargements of original concept art on the walls to examine while you wait. 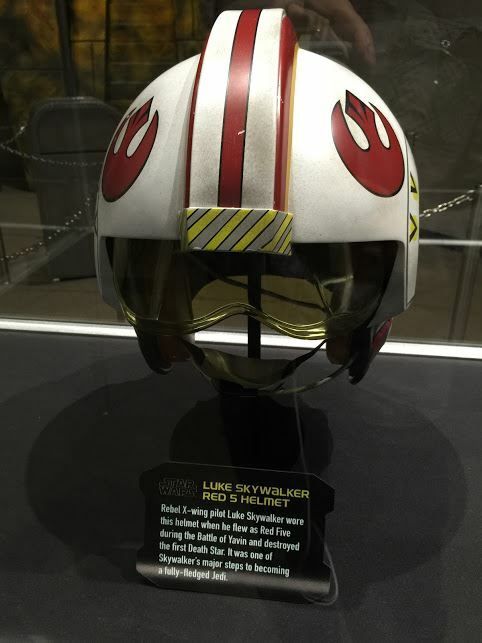 The 9-minute film screened in the Launch Bay Theater features interview snippets with some of the creators of the new Star Wars films, including Lucasfilm president Kathleen Kennedy, Force Awakens director J.J. Abrams, and Rogue One director Gareth Edwards. We hear the talking heads gush about their lifelong love of the series, interspersed with clips from the classic trilogy, though there’s hardly any reference to the prequels. The presentation includes footage from Force Awakens (all already familiar to fans from the trailers), as well as a brief preview of DHS’s upcoming Star Wars Land from Imagineer Scott Trowbridge. If you have zero interest in Star Wars this film will likely bore you (but then why would you go to this attraction in the first place? ), and if you are an uber-fan you’ve probably seen all of the material here many times before. For anyone in the middle, the intro movie does a masterful job of getting you pumped for the onrushing tsunami of Star Wars products that will be flooding our way for the foreseeable future. 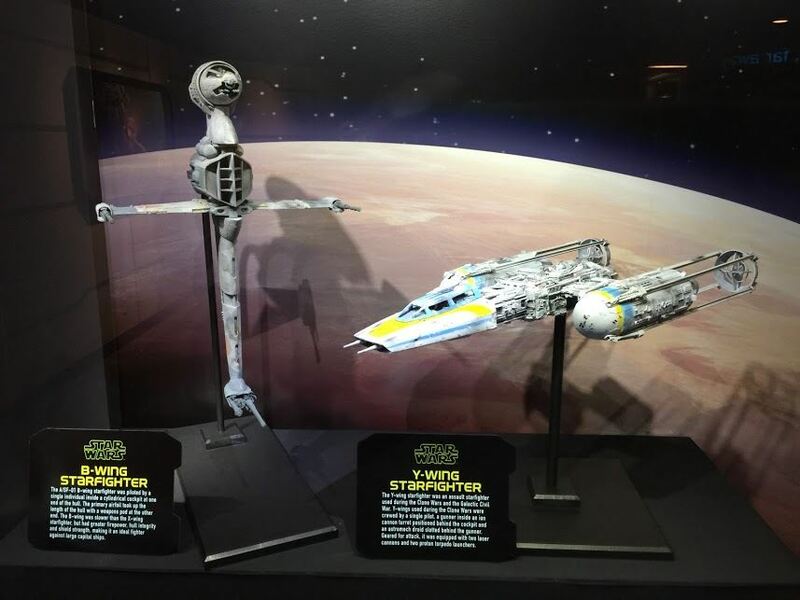 Inside the Launch Bay proper, the first room displays replica props and models representing the vehicles and weapons of the Rebel Alliance and Galactic Empire, as seen in Episodes IV through VI. The highlight of this area is a detailed scale reproduction of Boba Fett’s Slave I, with a tiny figure of the infamous bounty hunter visible inside the cockpit. 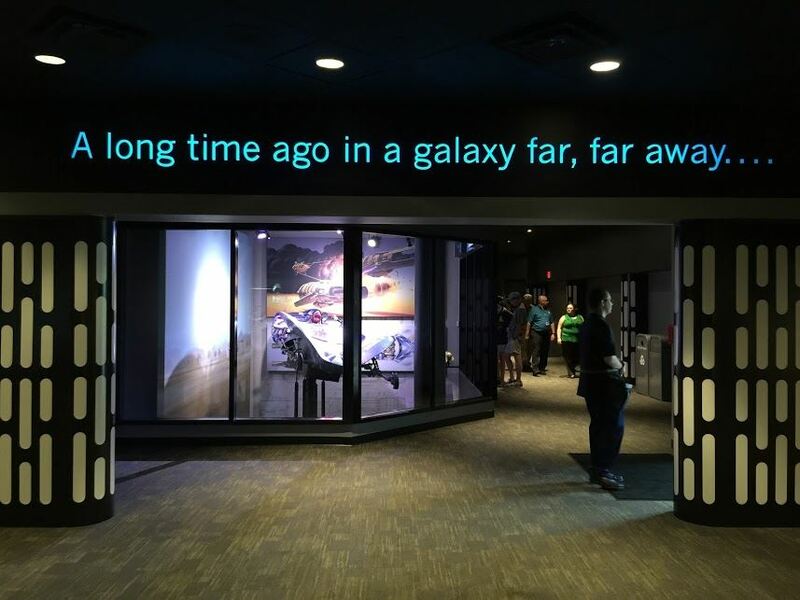 Exiting the first chamber under a glowing sign reading “A long time ago in a galaxy far, far away…”, you next enter a hallway containing the only objects in the exhibit that were actually used in making the Star Wars films. 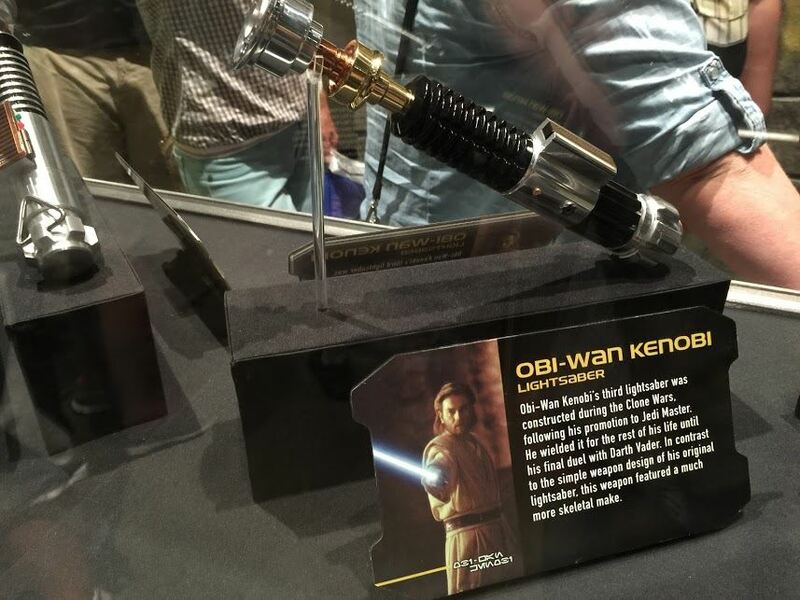 Inside glassed-in offices originally occupied by Disney Animators, you’ll see Anakin’s pod racer from The Phantom Menace, and an Endor speeder bike from Return of the Jedi, both authentic props seen on the big screen. The large central portion of the Star Wars Launch Bay building is dominated by three elaborate meet and greets. Visitors can chose between three queues: One leads to a Rebel base where Chewbacca, the universe’s favorite Wookiee, awaits; the second to a First Order bunker occupied by Kylo Ren, the occasionally moody Knight of Ren and (mild spoiler alert for The Force Awakens) Han Solo and Princess Leia's son. The third option is to meet another star of The Force Awakens, the cheery, troublemaking droid BB-8. Whichever line you select, you’ll find a couple cases of replica helmets and lightsabers to look at, along with overhead televisions broadcasting head-scratchingly tough Star Wars trivia. The line moves slowly (cast members estimated they were averaging 100 guests per hour on opening day) but at least wait times seem shorter in Orlando than they’ve been at Anaheim’s equivalent attraction. The wait, however, is well worth it, since all the meet and greets use Disney’s latest interactive technology to bring these iconic characters to life. Chewbacca can move his mouth and growl in response to your questions, while Kylo Ren has a full vocabulary of sinister phrases to taunt you with. BB-8 beeps and rolls around and is generally delightful. The queues are also carefully managed to prevent guests from seeing the encounter ahead of them, so your face-to-face really feels like an intimate experience. 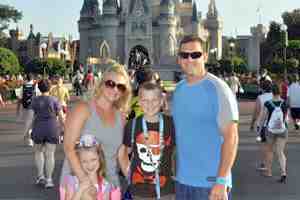 In addition to the public meet and greets, there is a private “Imperial meet and greet” reserved for Disney Visa credit card holders. It located near the exhibit exit, and is open daily from 11 a.m. to 4 p.m. 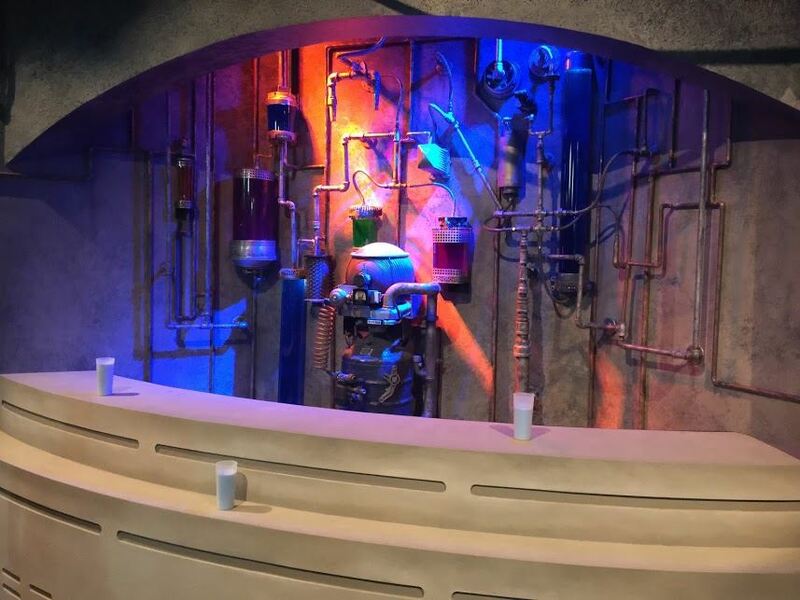 Beyond the meet and greets, the Launch Bay includes a small mock-up of the Mos Eisely cantina, where you may mingle with Jawas or other aliens. You can snap a selfie at the holochess table, but (alas) the blue milk on the bar is only for display. Finally, the last chamber of Star Wars Launch Bay is devoted to the newest Star Wars film, currently Rogue One. 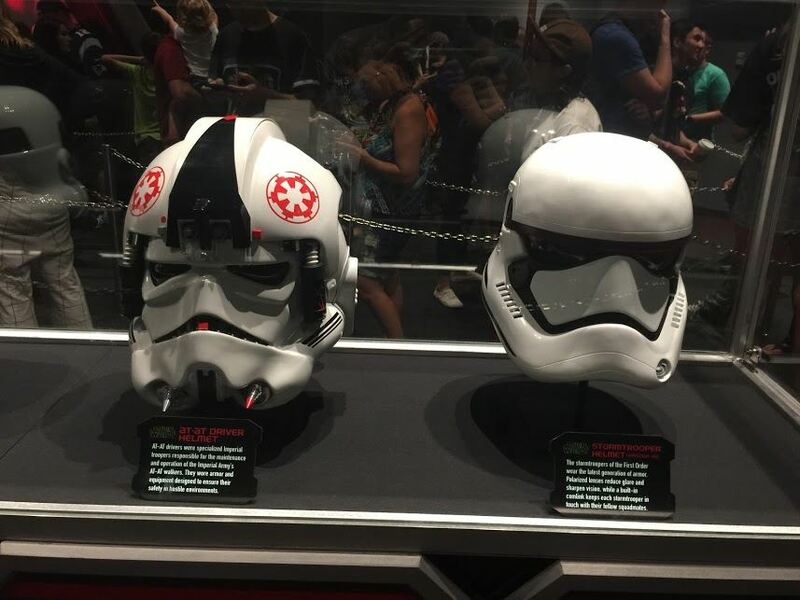 The room showcases weapons and vehicles like the new U-Wing as well as a Death Star model and the helmet worn by Imperial Death Troopers. 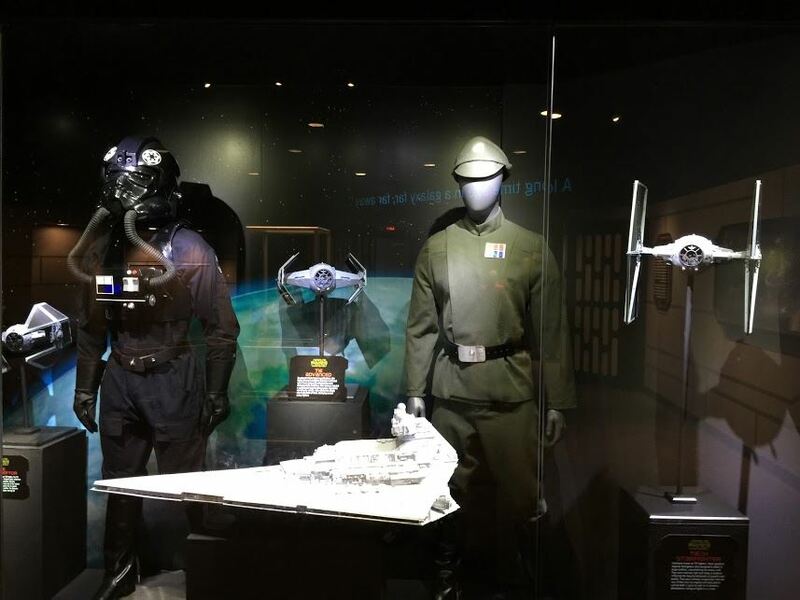 After exploring the entire Launch Bay exhibit, guests exit into the new Launch Bay Cargo shop, which is stocked with high-end memorabilia aimed at well-heeled collectors. If you want mass-market Star Wars clothes and toys, head over to Watto’s Grotto near Studio Catering Co. 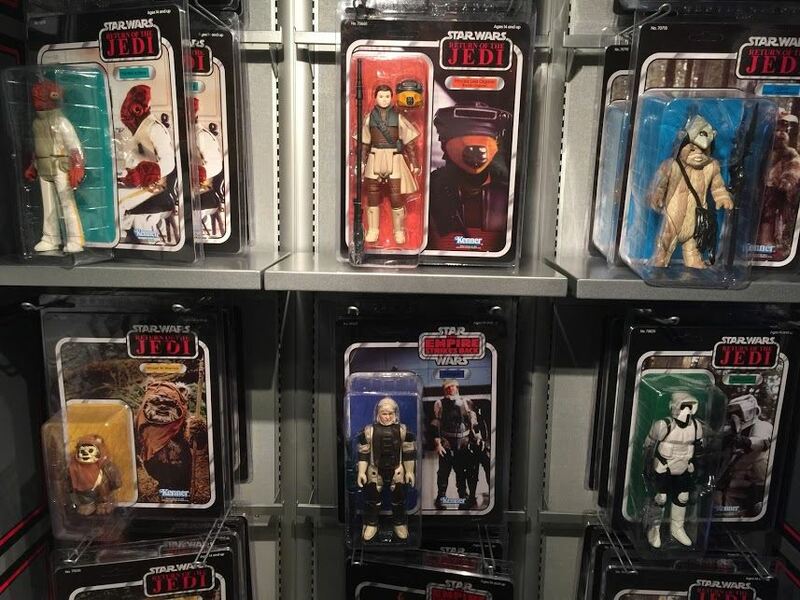 If, on the other hand, you want to spend $4000 on an authentically detailed Darth Vader costume (perfect for wearing to any wedding or Bar Mitzvah), or $3050 on a life-sized Kenner Boba Fett action figure, this is the place. Lines can get long for the meet and greets, so be sure to set aside 20-30 minutes per character you want to meet. If you aren't interested in the introductory film, as a cast member at the entrance for direct access to the exhibit.